New Interview with Sen and Jay by Bellwether Games! Cool! Bellwether Games has just posted an interview we did over a few email correspondences we had over the last couple of weeks. It’s a fun interview that goes into details about the games we have coming out this year as well as some of our design philosophies! Read the Bellwether Games Interview here! Here’s a funny story: During our Kickstarter campaign for This Town Ain’t Big Enough for the 2-4 of Us, I opened it up to the backers in the comments section to questions they had for me about – anything! Well, I got a bunch of questions…and then a bunch more. One backer has taken all his questions and my answers and made a couple of blog posts about them! So if you’re interested in learning a bit more about Sen and me and how we design games – there are a lot of interesting questions (and hopefully interesting answers) to be found! Thanks Sanders for putting this altogether! It’s a nice way to end off the Kickstarter campaign!!! Both our Kickstartered Games have been successfully kickstarted! Yay and thanks to everyone who supported in whatever way you could for getting both Tortuga and This Town Ain’t Big Enough for the 2-4 of Us funded! It was a fun ride – especially the last day for This Town Ain’t Big Enough for the 2-4 of Us as we had a swell of comments and engagement from our backers! In fact, we had more comments on the final 2 days than we did over the rest of the entire campaign! Wow! The last day was only an hour or so – so you could really combine those last 2 columns into the same day! Note that while we had more funds raised on the last day than the previous day – we had almost the same number of backers – which means that existing backers raised their pledge level – awesome! So the game is funded – 601% of our initial target, so that’s fantastic! In the future the game will only be available on the TMG website (Tasty Minstrel Games). But it’s cool to know that at least 4687 people will be playing this game in a few months!! It’s definitely saddening to see so many people back out of their pledge throughout the campaign. 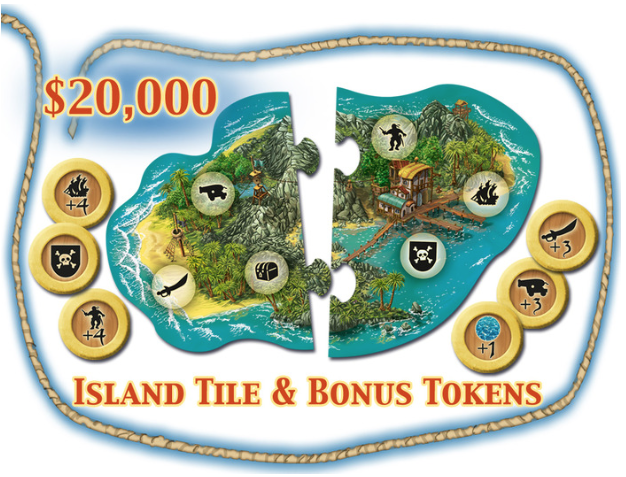 I believe it had nothing to do with the game but some people didn’t feel like the stretch goals were enticing enough (though I think the extra island is pretty darned cool!) and some people were turned off from the fact that the game was already available for pre-order elsewhere. Oh well – we still hit 284% of our target and the game is coming out! Once it comes out – all these negatives will hopefully be forgotten as the focus then shifts to the actual gameplay. So an exciting couple of weeks for the Bamboozle Brothers. We’ll be back on the Kickstarter bandwagon in a month or two when our next game, But Wait There’s More starts its campaign from Toy Vault! That should be a lot of fun because the game has the Monty Python license attached to it!! Wow! Stay tuned for all those details. And thanks again for those that backed either or both of our recent games on Kickstarter!! Check out this overview video of our new game Akrotiri! Eric W Martin from Boardgamegeek.com went to Nuremberg last week and took a bunch of videos of upcoming games – and lo and behold, he filmed an overview of our new game ,Akrotiri coming from Z-Man games later this year! This is exciting as it’s one of – if not my favourite games that Sen and I have designed. JF from Filosofia/Z-Man explains how the mechanics work in the game and it gives you a quick overview of some of the interesting decisions you’ll have in the game. Check it out! Finally – English Rules are posted for our new game Tortuga! Queen had the German rules posted for awhile but have now posted the English rules to our new game, Tortuga! So if you’ve been on the fence about backing this game on Kickstarter – well, now you can read more about it to see if it’s your jug o’ rum! Check out the rules on the Kickstarter Update page – and help us get that last stretch goal of 6 more treasure tokens! Less than $1000 to go!!!!! This Town Ain’t Big Enough for GeekDad’s review…wait – yes it is! Oh also – you knew that the game is still funding on Kickstarter right?! Hey with a minimum pledge of $3 you can get yourself a copy of the game…or what about free? Sure – you can even try the game for free as a print and play. Click on Free Games above to find it. To back it on Kickstarter, click here! 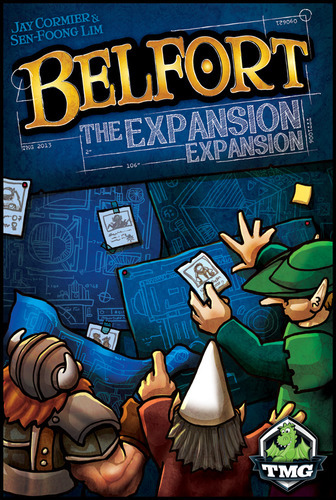 Dice Tower reviews Belfort: The Expansion Expansion! Ryan Metzler from the Dice Tower does a great job at reviewing Belfort: The Expansion Expansion in a new video. He loved the assistants and the guilds and was lukewarm on the expansions themselves. Fair enough! Check out his overview and his review here! Fantastic video review of Belfort: The Expansion Expansion by Couple Vs. Cardboard! These two are just awesome! I love their reviews. They have high production quality, they’re both good on camera (and adorable!) – but mostly I love them because they actually REVIEW the game! I’m not sure how we all became so complacent in interchanging the word review with rules summary. 99% of all other ‘reviews’ that I see are mostly a lengthy rules summary with an opinion tacked on at the end. Anyway – I’m ranting. Here’s their video review of our new expansion – which they both seemed to really enjoy! Interview with Jay Cormier (me!) on GFBRobot! Check out this interview I just did with Giant Fire Breathing Robot! We talked about three games: Belfort: The Expansion Expansion; Tortuga and This Town Ain’t Big Enough for the 2-4 of Us. At the time of the interview I wasn’t aware when the Kickstarter campaign would be happening for This Town Ain’t Big Enough for the 2-4 of Us – and it’s happening now. You can support Tortuga on Kickstarter here! You can support This Town Ain’t Big Enough for the 2-4 of Us here! You can buy Belfort: The Expansion Expansion many places, including here! 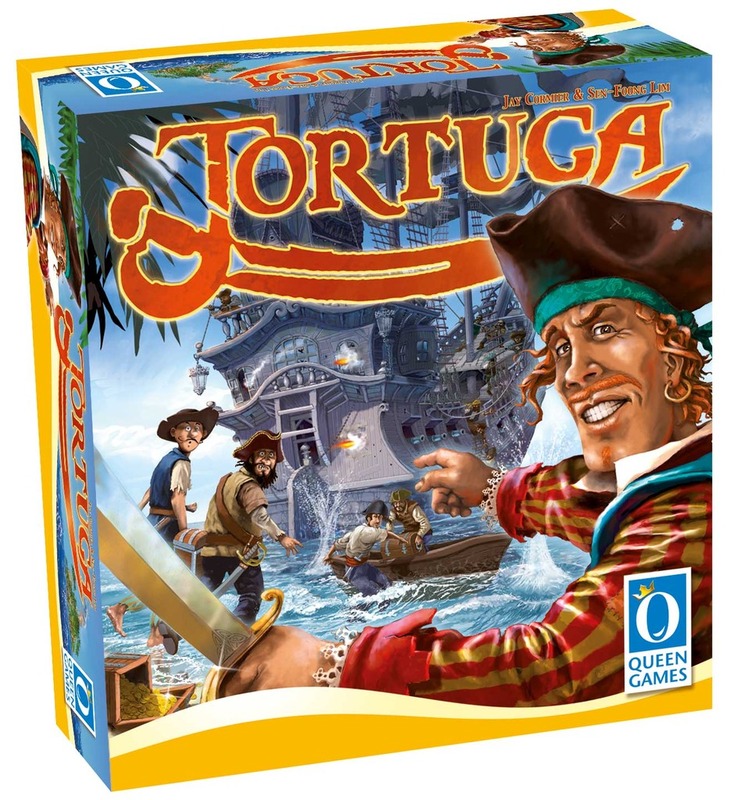 Win your own copy of our new game Tortuga! Queen is having a contest to win a copy of Tortuga! It ends Feb 6th – so hurry on over to boardgamegeek for the contest!! If you’re not in the know yet – Tortuga is a new game from Sen and I that involves simultaneous rolling and assigning of dice in an effort to steal the most treasure for yourself! The game is on Kickstarter for another 10 days or so, and has already achieved 3 stretch goals with another one happening any day now! If you want to back the game (you know, in case you don’t win the contest! ), you can do that by visiting the Tortuga Kickstarter page.